As another Lame Cherry exclusive in matte anti matter. I can see why the liberal press did not report this Clinton Sanders highlight, but I would think that the right wing press would be featuring this Democrat Debate Night Highlight. 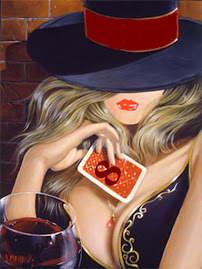 I am certain the viewership of the debates would go up, if some gun play was involved. Donald Trump patted his pistol in a debate and look what it did for his poll numbers. 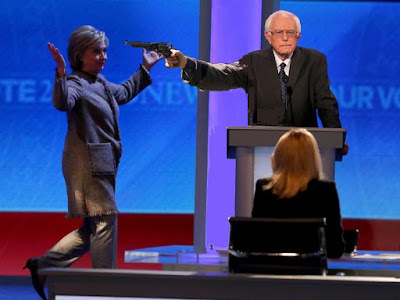 The Lame Cherry welcomes Gun Totin' Bernie Sanders in bringing the great equalizer to the Democratic Debates, and by the Drudge Poll numbers, Bernie pulling a gun on Hillary really wowed and pleased the democratic viewers. We can understand this at the Lame Cherry, because after Jerry Brown and image Obama got all those unarmed liberal Mutton murdered at San Bernadino, it is only fitting that democrats would now flock to the candidate pulling something from his pants in showing he was happy to see Hillary Clinton. 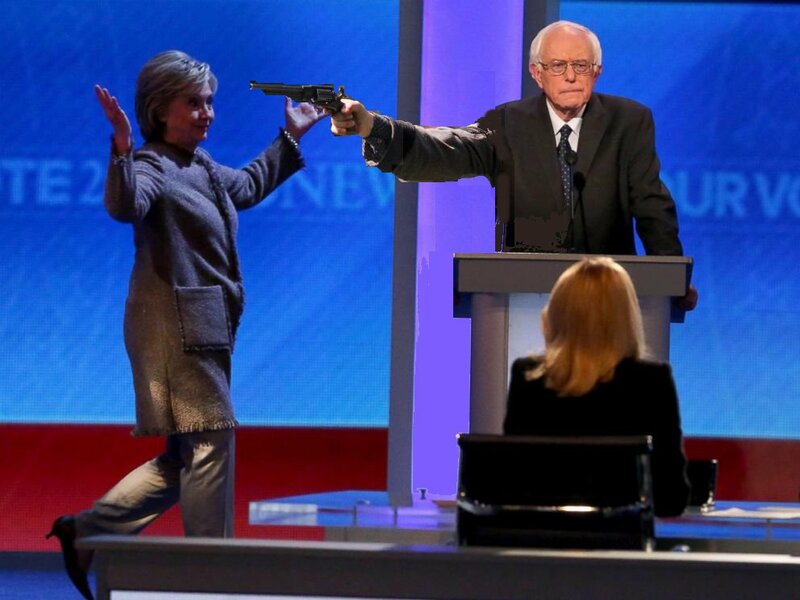 I say let us arm Bernie Sanders that O'Whatever and Hillary Clinton for a real Mexican standoff......put on a nice Clint Eastwood Italian Western song box, and see what happens in the shoot out. My kind of politics in the problems having to deal with the problems they create, instead of disarming the people trying to protect themselves from the terrorists the Obama regime funded and armed. .........and yes my children and my brats, you are free to post this wherever you want and share as often as you like, not for profit.